This design is no longer active. Click here to visit an archived version. The Solution: After receiving the group's logo, I devised a menu and hover scheme that would imitate the shape and colors of the logo. 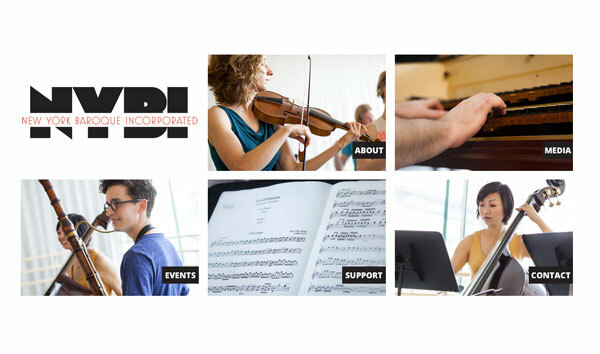 The rest of the highly responsive site is done as cleanly as possible, using Wordpress used as a CMS so the orchestra leaders can update the site themselves.